An adequate level of training is must for any lifeguard for rescuing and saving victims. Not only he must be certified but also trained for both water and life saving programs to reduce the number of drowning people. The lifeguard training calls for certain physical and behavioral requirements for an individual before getting him registered while the certification may demand prerequisite knowledge and expertise through classroom and online courses. The purpose is to train, educate and test his abilities to withstand extreme emergency situations. This training is not age limited and any individual who understands the responsibility and able to complete the certification elements can come up for it. Saving anyone’s life can be a challenging and daunting task and such responsibility can put your life at risk too. Good physical and mental condition is another essential for a person to complete the training and getting certification successfully. His breathing problems, inadequate weight lifting abilities and bad medical conditions can become an obstacle in his way. The individual must have not the water or swimming fear and his swimming potential will be judged on the basis or certification and training he is opting for becoming a lifeguard. The deep water rescue requires greater deal of physical and swimming skills than the shallow water rescue. He is therefore trained to deal with all the water conditions good or bad and able to make effective use of lifeguard equipment and accessories. The initial knowledge of lifesaving methods and first aid is also required for ensuring effective training. Commonly taught procedures are CPR cardie-pulmonary resuscitation and AED, or automated external defibrillator. They are guided with every aspect to access the medical condition of victim and provide first aid for avoiding the risks of acute injuries and bleeding. 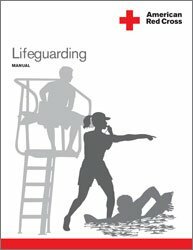 The lifeguard certification is not an easy game and only qualified individuals are put to the risk of saving lives in dangerous conditions. It can have various levels and courses through which the individual abilities are polished and trained for deep and shallow water rescuing. You can find a number of surfing clubs, training institutes and lifeguard academies on both local and state level for getting your lifeguard certification. You qualification should be correct and current before going for any job position. You can make the right choice by considering their courses, fee, timing, requirements and certificate they offer. The participants of lifeguard training are given aquatic emergency tasks though videos, discussions and hands on practical work for making them able to learn the team work surveillance and rescue abilities. Both online and classroom sessions and materials are also provided for giving in depth knowledge. The persons going for lifeguard training are required for complete medical examination and performance tests both conditional and non conditional before rewarding them the certificate. In addition to passing both written and practical tests, the person must demonstrate maturity and responsibility throughout the classes and team work. The lifeguard job can be both easier and difficult offering you high remuneration packages but great level of stress too.